The Healthy Workplace Healthy Family Act of 2014 (AB 1522) provides employees in California with paid sick leave. Under the California law, an employee who works in California for 30 or more days is entitled to paid sick leave. With some exceptions, all employees, including part-time and temporary employees, earn at least one hour of paid leave for every 30 hours worked. An employee may request paid sick days in writing or verbally. An employee cannot be required to find a replacement as a condition for using paid sick days. Accrued paid sick leave may be carried over to the next year, but it may be capped at 48 hours or six days. Provide at least 24 hours (or three days) of paid sick leave for each eligible employee to use per year. Show how many days of sick leave an employee has available on his/her pay stub or a document issued the same day as a paycheck. Provide written notice to employees with sick leave rights at the time of hire. Retaliation or discrimination against an employee who requests or uses paid sick days is prohibited. 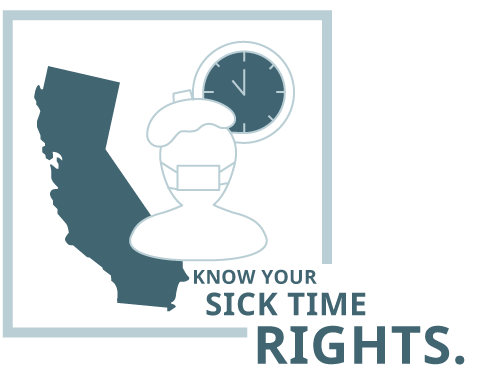 If an employer fails to comply with the California law for paid sick leave, an employee can file a complaint with the Labor Commissioner or bring a lawsuit. If your employer doesn’t provide paid sick leave or isn’t following the law, please contact us at CJL to discuss your rights.